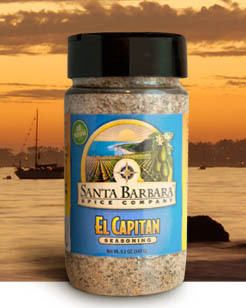 El Capitan Seasoning is an original family dry rub recipe for grilling tri tip and top sirloin in the California central coast style. It's a well rounded seasoning with a salt, garlic, and pepper base that is deliciously balanced with herbs, spices, and natural flavors. It is made from ALL NATURAL, truly clean ingredients. No MSG, sugar, fillers, flow agents or preservatives. El Capitan is an artisan-quality product that's lovingly made in small batches. You'll love El Cap sprinkled on your favorite foods and as a 'secret ingredient' in family recipes. 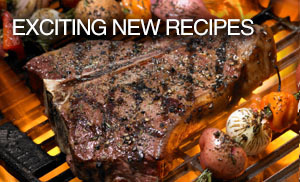 It's delicious on beef, pork, chicken, fish, vegetables, egg dishes, salads, stews, and more! 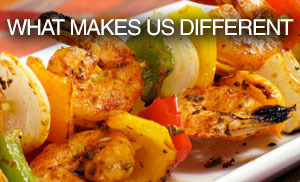 Read our Spicy Blog for recipes and more!